When the latest James Bond movie ‘Spectre’ hits theatre screens at the end of next year James Bond will be driving an Aston Martin DB10. 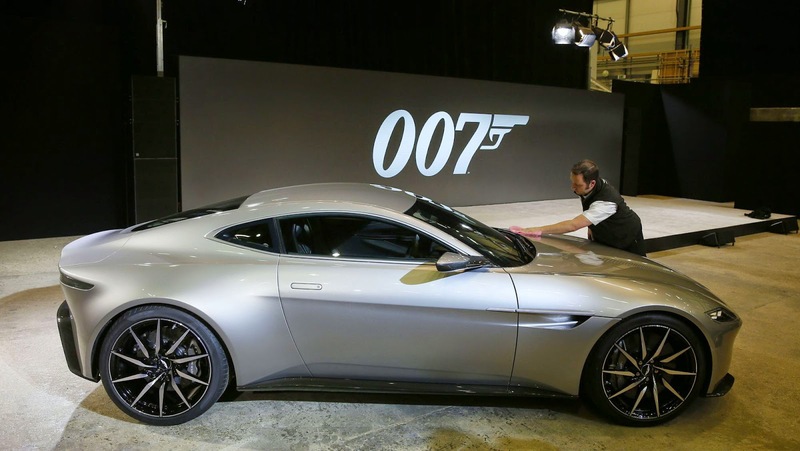 The Director of the movie franchise, Sam Mendes and Aston Martin’s Creative Director, Marek Reichman jointly presented the new car to the media with suitable flourish. However, despite the sharp edges of the striking design and subtle changes in Aston Martin’s feature lines, this ‘Movie Special’ is much more than just an attention-grabber for Daniel Craig as 007. 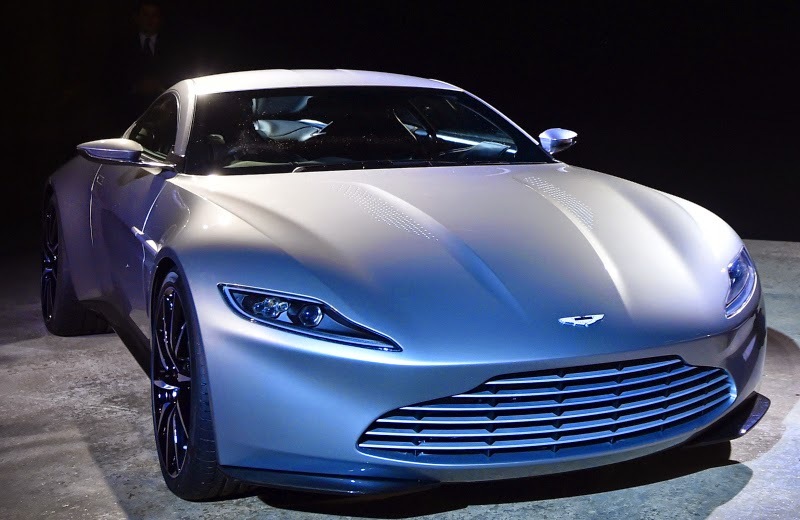 The famous Aston Martin grille is set low, and the front end features a shark-like nose treatment. Marek won’t comment, but this new styling heralds a lot of change for the appearance of future Aston Martin derivations from the DB range. Aston Martin has already trademarked the series DB10-DB14 – and that means that its current naming protocol is set to continue. However, the new car will also abandon the ageing VH platform architecture, which will be replaced by a new approach to the platform which needed redesign because Aston Martin will switch to Mercedes-Benz AMG-derived turbocharged V8 engines when the next models appear. 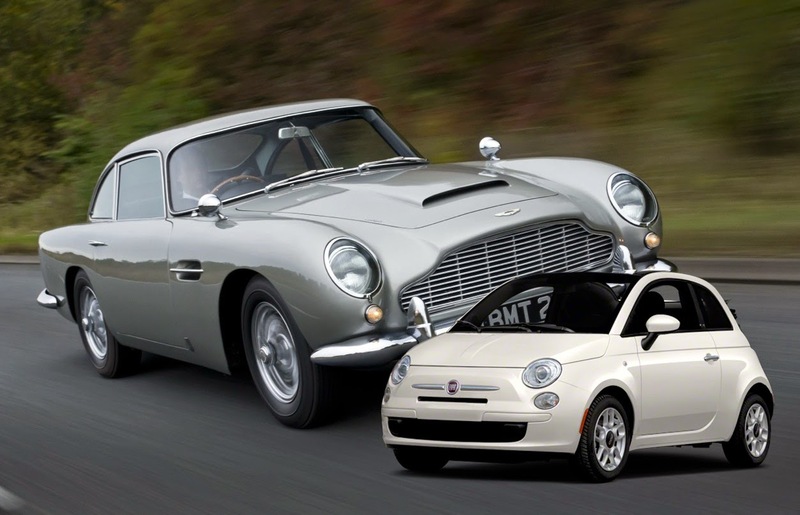 It’s also been revealed that James Bond will drive a FIAT 500 through Rome in the opening scenes of ‘Spectre’, and the Australian website performancedrive.com.au has produced a cute graphic mixing the two iconic marques. It’s my opinion that Sam Mendes has infused the James Bond franchise with new vitality and appeal, and ‘Spectre’ shows great promise as being the most dynamic Bond movie for years.